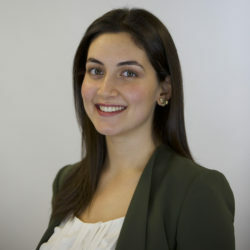 Layan graduated from the University of Michigan – Ann Arbor in 2015, where she earned a degree in Economics and Middle Eastern Studies. After earning her undergraduate degree, she worked at a civil rights organization and with asylum seekers in the Detroit area. At Michigan Law, Layan was the Policy Director for the International Refugee Assistance Project, President of the Muslim Law Students Association, and Academic Chair of the International Law Society. Layan spent her 1L summer as a legal intern at the United Nations Economic and Social Commission for Western Asia in Beirut, Lebanon and her 2L summer in the New York office of Latham & Watkins LLP.